Leading Manufacturer of takeoff belts from Coimbatore. Supported by highly experienced professionals, we are providing an excellent range of Takeoff Belts. The offered take off belts are precisely manufactured by our highly skilled professionals by utilizing finest grade material and advance technology. 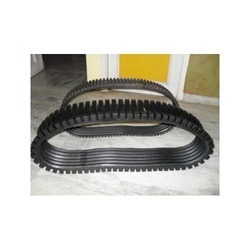 Our take off belts are provided in several specifications according to the needs of customers. Additionally, these take off belts are examined on several quality parameters to assure its durability and flawless finish.